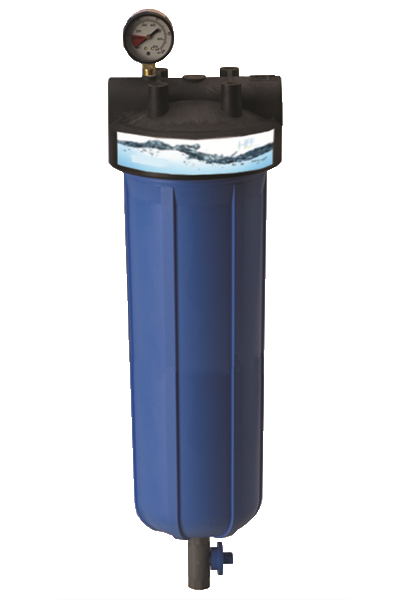 HFF standard bag vessel assemblies keep your system on stream longer by reducing bag filter change time. They are made of lightweight corrosion resistant polypropylene to give you all the strength you need without the weight. Filter bags are available in polypropylene felt, absolute-rated high-efficiency polypropylene and nylon monofilament mesh–ideal for filtering and straining applications. Molded from rugged reinforced polypropylene, Bag filter housings offer outstanding chemical compatibility and are ideal for use in a variety of low-flow applications. These applications include residential pre-filtration, food service along with commercial and industrial applications for water filtration and chemical filtration. They are equipped with a black, reinforced polypropylene cap. – Suggested Maintenance Schedule of replacement filters depends on feed water quality. – Protect against freezing to prevent cracking of the filter and water leakage.